Widening their scope from recent grindcore on Nuclear War Now! 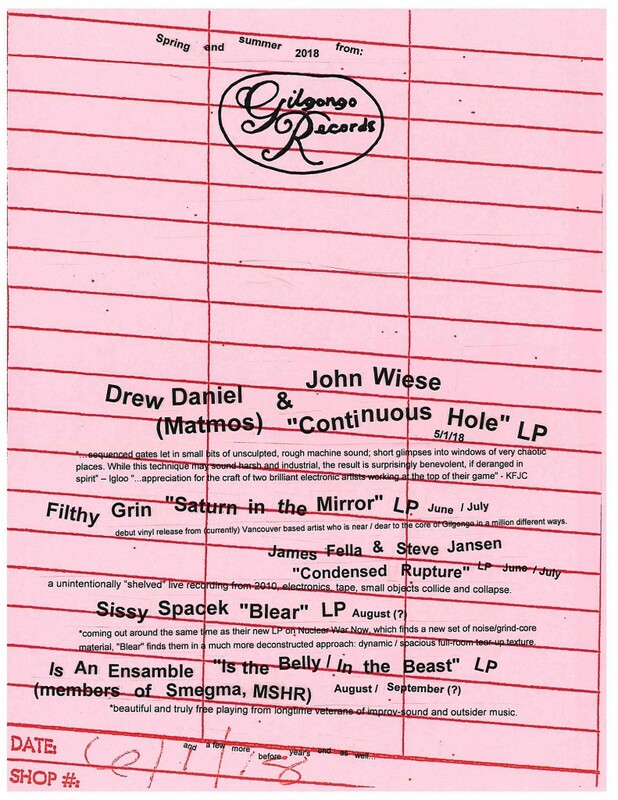 Productions, Sissy Spacek’s Blear LP explores a much more dynamic and spacious approach to sound—an entropic vortex of full-room tear-up texture. 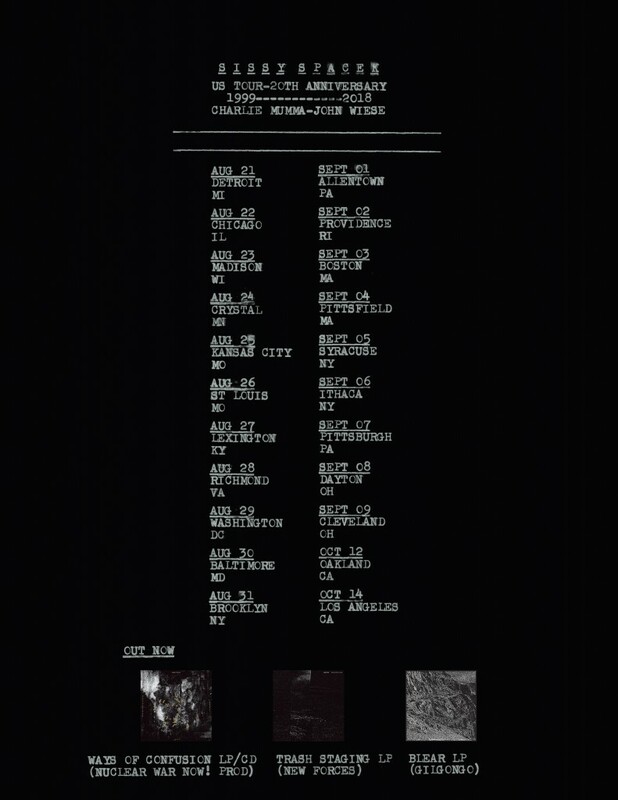 Duo lineup of Charlie Mumma and John Wiese, released in an edition of 300. 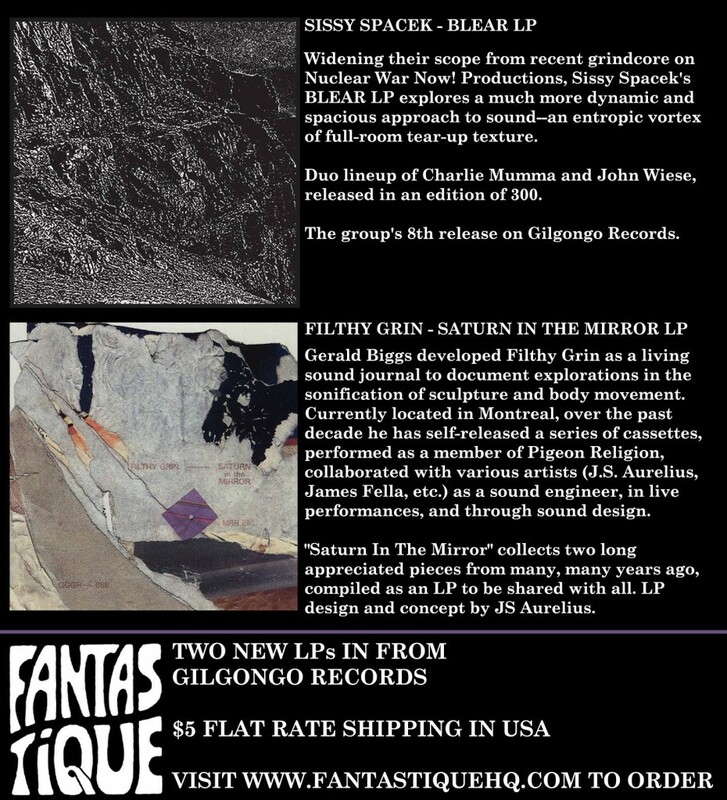 The group’s 8th release on Gilgongo Records. 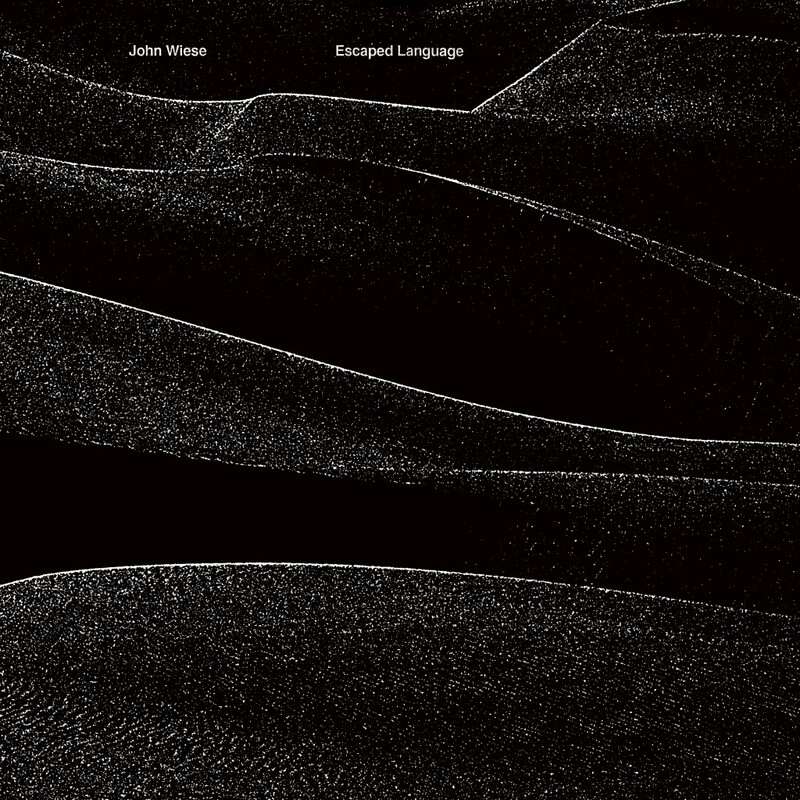 Recorded during Ina/GRM’s 2016 Présences Électronique Festival in Paris, John Wiese’s Escaped Language is a concise and calculated piece which slowly evolved in various settings over a number of years. 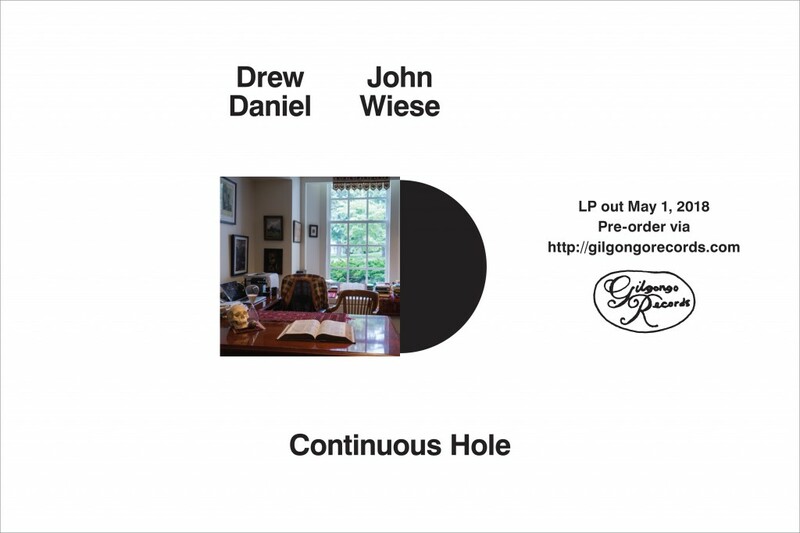 While 2015′s Deviate From Balance double-LP was expansive and chronicled performances and works employing many other musicians, here, Wiese dissects and reassembles portions of his vocabulary alone. 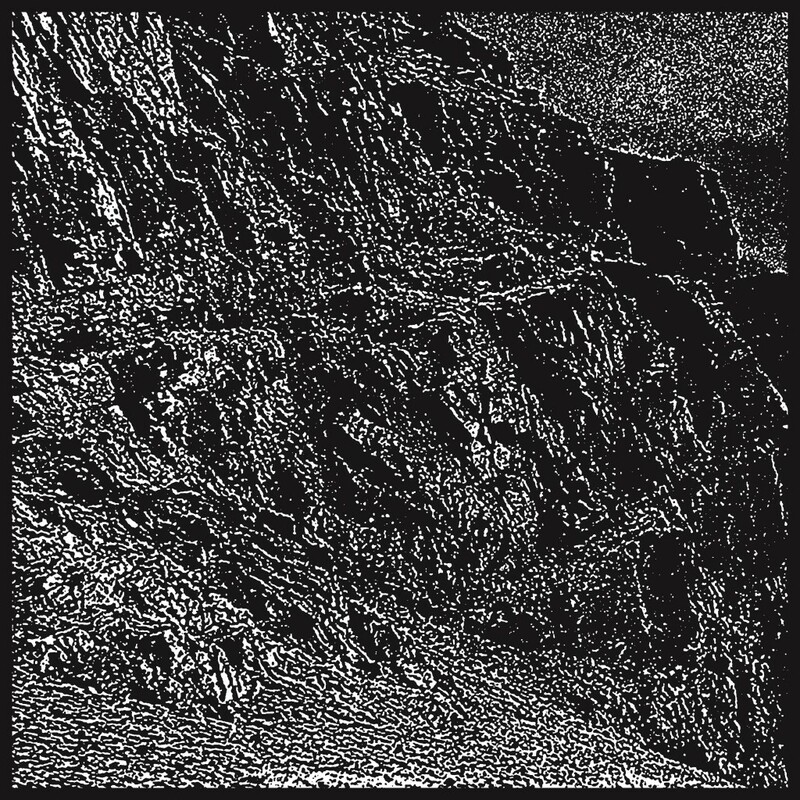 Simultaneously dense and sparse, delicate and abrasive, free and tactical, the resulting recording stands as a substantial document of his approach to sound, twenty-five years into his prolific tenure.